Hi, Welcome to LA Backbeat. My name is Frank Kincel and I make drumsticks. I have played drums professionally for well over half my life, worked in drum retail and repaired countless percussion instruments. Through my playing, I found that most drumsticks lacked consistency in quality, balance, feel, and above all… durability. I set out on a journey 3 years ago to make sticks... an idea, a dream, of making a good quality, durable drumstick. The dream became a vision, set in motion when I founded LA Backbeat in 2015. Through heritage in trade skills and studying/playing drums as my passion, I have discovered an art to making durable, quality, balanced drumsticks that feel good and are consistent. ​Did I think it would be easy? Not in the least bit. ... it feels good doing it. Give 'em a try, I'm sure you will like them. 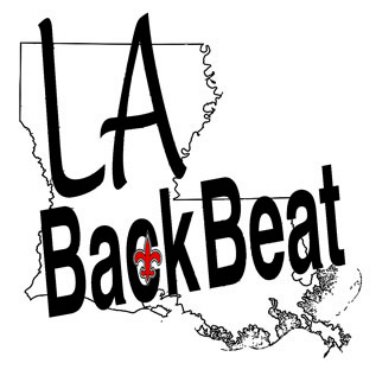 The maker of durable, handcrafted drumsticks, Frank Kincel established LA BackBeat in 2013. All drumsticks are created out of local and regional resources in small batches from a small, one man shop in southern Louisiana. As products develop, every batch is similar but not identical.